The course of surgical procedures is often unpredictable, making it difficult to estimate the duration of procedures beforehand. This uncertainty makes scheduling surgical procedures a difficult task. A context-aware method that analyses the workflow of an intervention online and automatically predicts the remaining duration would alleviate these problems. As basis for such an estimate, information regarding the current state of the intervention is a requirement. Today, the operating room contains a diverse range of sensors. During laparoscopic interventions, the endoscopic video stream is an ideal source of such information. Extracting quantitative information from the video is challenging though, due to its high dimensionality. Other surgical devices (e.g., insufflator, lights, etc.) provide data streams which are, in contrast to the video stream, more compact and easier to quantify. Though whether such streams offer sufficient information for estimating the duration of surgery is uncertain. In this paper, we propose and compare methods, based on convolutional neural networks, for continuously predicting the duration of laparoscopic interventions based on unlabeled data, such as from endoscopic image and surgical device streams. The methods are evaluated on 80 recorded laparoscopic interventions of various types, for which surgical device data and the endoscopic video streams are available. Here the combined method performs best with an overall average error of 37% and an average halftime error of approximately 28%. 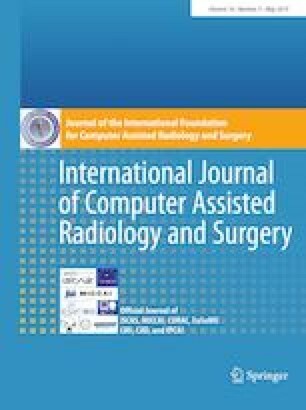 In this paper, we present, to our knowledge, the first approach for online procedure duration prediction using unlabeled endoscopic video data and surgical device data in a laparoscopic setting. Furthermore, we show that a method incorporating both vision and device data performs better than methods based only on vision, while methods only based on tool usage and surgical device data perform poorly, showing the importance of the visual channel. S. Bodenstedt, M. Wagner, L. Mündermann, H. Kenngott, B. Müller-Stich, M. Breucha, S. Mees, J. Weitz and S. Speidel declare that they have no conflict of interest.